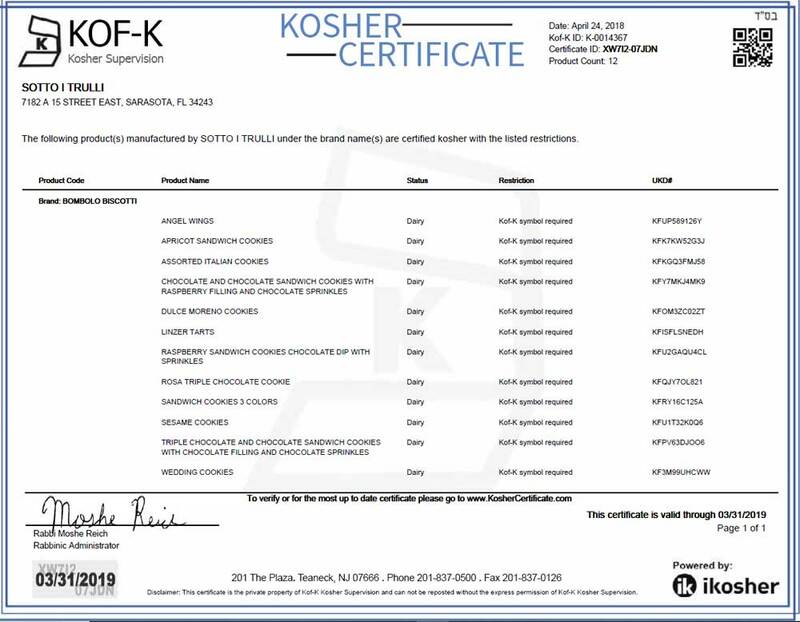 As we celebrate our 10th year, we are proud to receive the SQF Level 2 Food Safety Certification yet again for the third consecutive year. 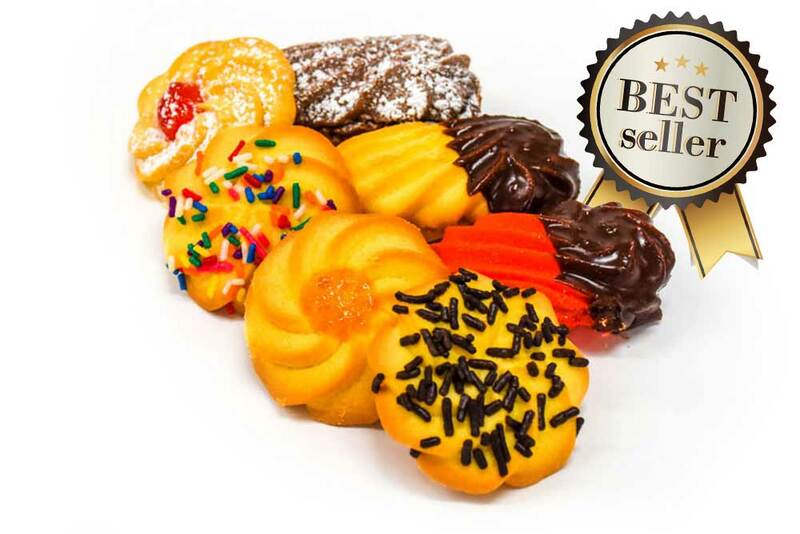 Recognized by the Global Food Safety Initiative “GFSI” as a leading food safety management system, this third party audit is designed to rigorously test food safety systems within an organization and provide customers with an independently recognized International Food Safety Certification. 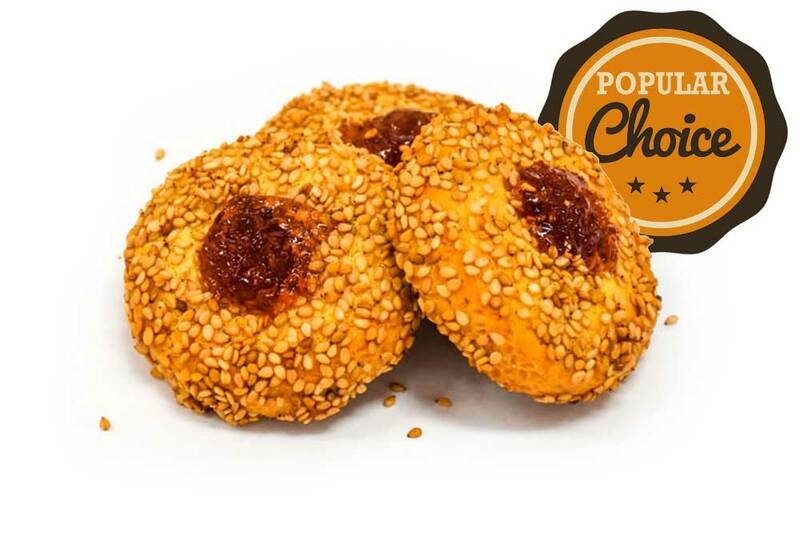 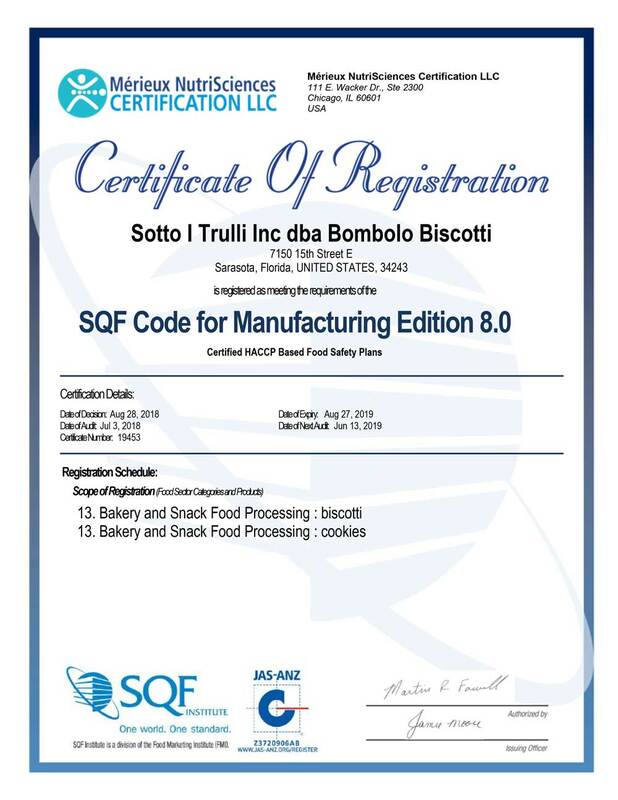 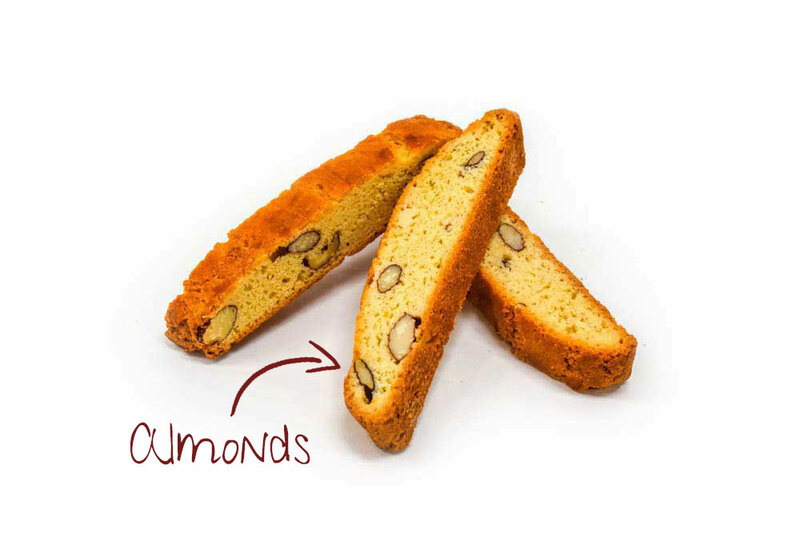 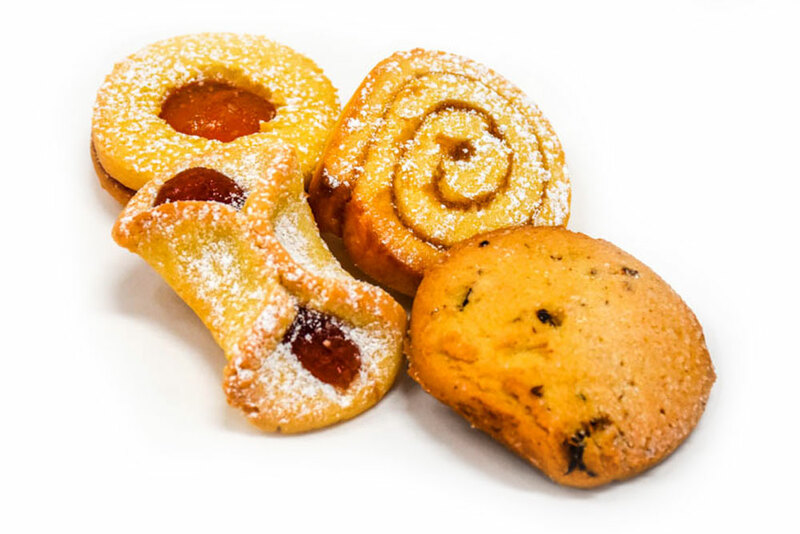 Being SQF certified, Bombolo Biscotti operates as per Safe Quality Food (SQF) standards with additional Food Safety & Quality systems in place, such as HACCP (Hazard Analysis Critical Control Point), Chemical Control, Allergen Control, Pest Control, FIFO, Weight Control, Foreign Object Control to name a few.